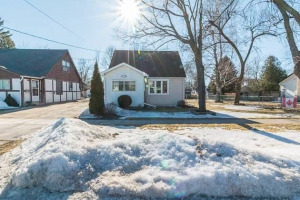 Charming 3 Bdrm Century Home For A Great Value! The Main Level Offers A Spacious Family Rm W/ Vaulted Ceiling, Eat-In Kitchen, Dining Rm & Main Floor Living Rm/4th Bdrm All W/ Warm Wood Flooring. A Partial Basement Is Accessible Through Crawl Space In Main Flr Pantry. The Family Rm & Dining Rm Have W/O To The Yrd & A 3 Pc Bath Completes The Main Flr. The Bdrms Upstairs All W/ Laminate, Lrg Windows & Include A 4 Pc Bath. 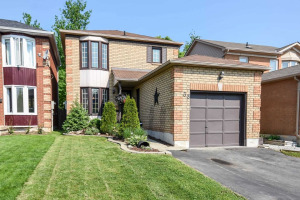 Walking Distance To Shopping & Schools.